I love poblano peppers. 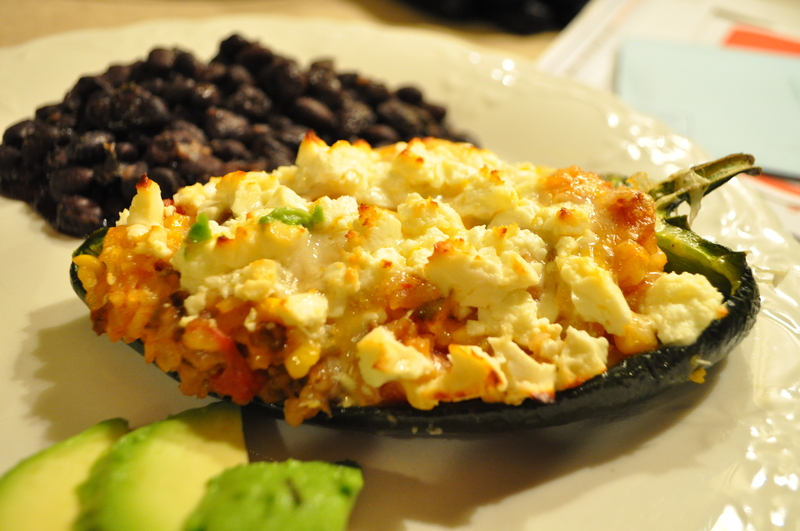 They have a nice smoky spiciness that makes stuffed peppers special. Unlike bell peppers that have a tendency to get soft and squishy, poblanos have a more structured wall that holds up better to baking. Preheat the oven to 400 degrees and heat the oil in a large skillet. Sauté the chorizo, onion, jalepeno and garlic over medium heat until chorizo is cooked through. Add rice, corn, stock, and beer, bringing to a boil. Reduce the heat, cover and let simmer until the liquid is absorbed and the rice is cooked. While the rice is cooking, slice chiles in half, removing seeds and pith. Place on the oven rack and bake for about 5 minutes or until the chiles start to soften and the skin blackens in small places. Remove from the oven and allow to cool enough to handle. Once the rice is done, add the shrimp and tomatoes to the mixture, turn the heat to medium and sauté until shrimp is cooked.. Spoon the rice into each chile , top with cheeses, and place back into the oven on the LO broil setting, browning the top of the cheese. Serves 6. I’ve been looking for some amazing recipes that use chorizo and/or poblanos. This looks perfect! Thanks.I love that it was easy to put together and tasted so good. Plus the leftovers reheat well! Thanks–I always love to know how the leftovers keep! I hope they make you hungry enough to prepare them at home! I love the idea of replacing water with more flavorful things. Using large quantities of water in a recipe is odd to me. Beer is better! I love this one. I could see scaling it down as a Game Day appetizer too. Not for myself. I want the big pepper! Glad my recipes inspired you! Looks delicious! Looks delectable. I love chorizo. Thanks for viewing my blog, Savor the Food. While you were there you liked Thoughts that Remember Mexico..my Spicy Chorizo Bean Soup. Yahoo, Mexican food is so delicious. I love cheese also, especially Cheese Enchiladas. Goat cheese is a favorite. 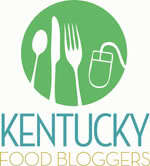 I hope for your comments and readership, your invited to follow Savor the Food. Thanks for sharing. I look forward to your future posts and more great photos. Pingback: Chorizo With Cheese and Caramelized Onions Dip | What's On the Stove?